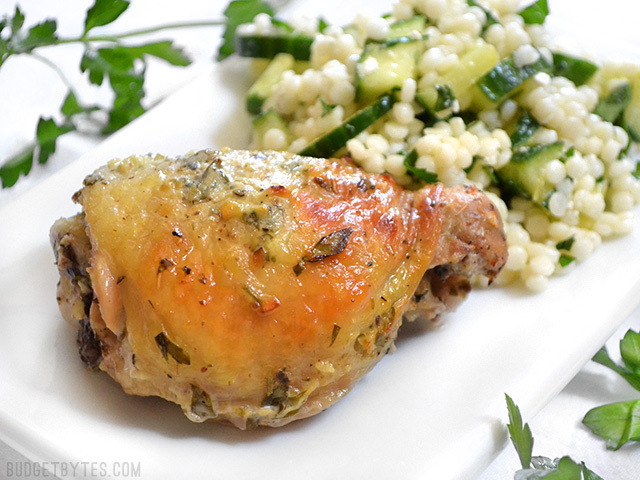 This Savory Marinated Chicken Cost Less Than $10 To Make! Looking for a new way to spice up your family dinner this week? Sometimes a little tweaking of seasoning is all that it takes to make dinner a little more interesting. This simple, inexpensive dish is bursting with flavor and can be pulled together with things you probably already on hand. We’ll see you in the kitchen! First, we want to prepare the marinade for the chicken. 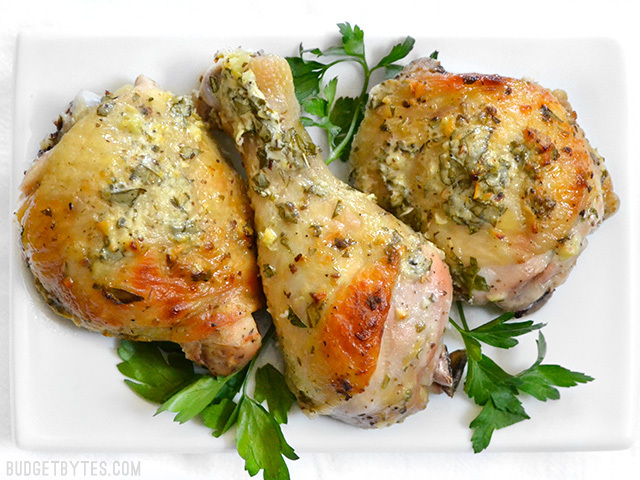 To do this, mix up your yogurt, olive oil, minced garlic, oregano, salt, and cracked pepper in a bowl. Then, using a zester, scrape a layer of yellow zest from the lemon skin into the bowl and then squeeze the juice from half of the lemon (about 1-2 Tbsp) into your bowl and give it all a good stir. Toss in about ¼ bunch of your chopped parsley and then transfer your chicken pieces and marinade into a gallon sized zip top bag. Massage the bag to get the juices going and then stick it into the refrigerator for half an hour before grilling it up or baking at 350 for about 45 minutes to an hour. 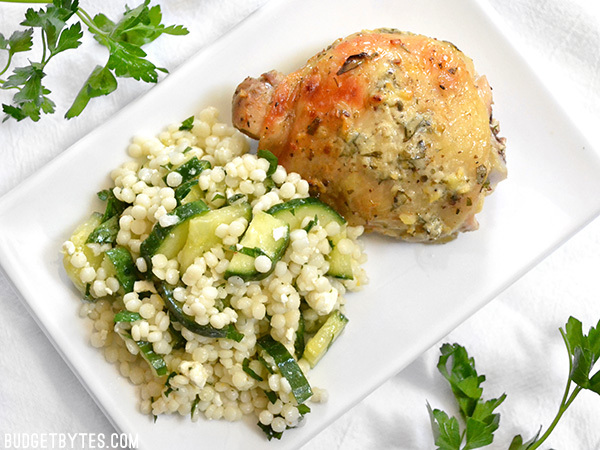 Serve this delicious juicy chicken with a nice crisp salad or your favorite pita bread. Enjoy! 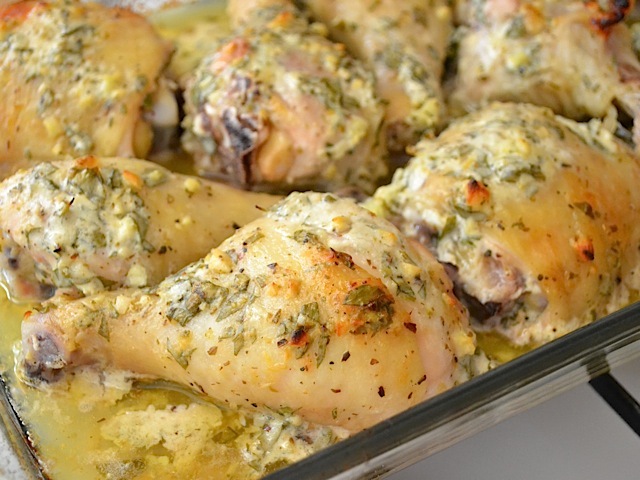 Pricing may vary based on your location, but this recipe was made for $8.97.